Microsoft Stream is available to use across devices whether you are on a desktop or Mac at work, or on your mobile browsers on the go. You can use iOS, Android, Windows, and other compatible devices to upload and manage your content, or search and watch content from your mobile browser. When you start watching a video, Microsoft Stream adaptively determines your available bandwidth. It provides you with the best quality available using adaptive bitrate streaming (ABR) streaming. Adaptive streaming helps provide a good viewing experience, whether you are on WiFi, LTE, or even 3G. 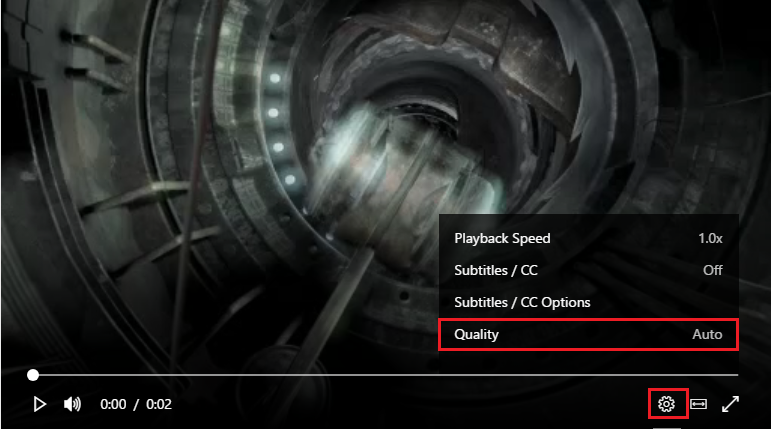 You can also manually set the bitrate from within the player. Setting the bitrate is useful to help save bandwidth when on cellular networks. In Stream, click the video that you want to watch. Click the Settings icon , and then click Quality.